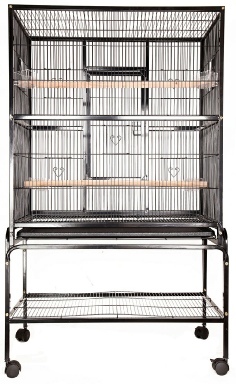 A cage may be the place your bird calls home, but chances are you let them roam and play in your actual home too. 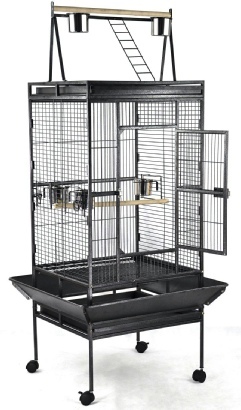 If that’s the case, this Open Top Small Bird Cage with Stand is a great choice for when your bird takes flight outside of the cage, thanks to a rooftop opening and additional stand to rest on between trips. Of course, the inside is equally luxurious and functional, with a natural wood perch, included stainless steel feed / water cups, and three swing out feeder doors. Is cleanup a concern? 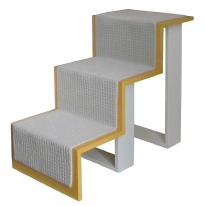 Included is a seed catcher that keeps stray feed from spilling all over your floor, while a pullout drawer and grate makes refreshing your bird’s home a breeze. 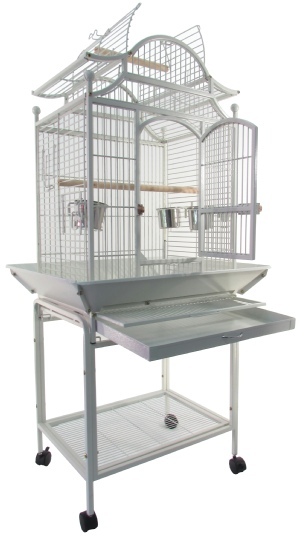 Available in Wrinkle White, this easy-to-assemble open top small bird cage also comes with its own matching stand with additional storage space and casters to move it between rooms with no hassle. 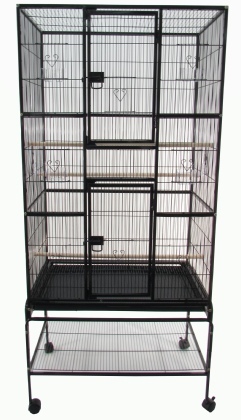 Spacious and sleek ideal for your small- to medium-sized birds. Shipping was fast, the cage came in a good box, assembly is a little challenging but I have found that with every cage purchase so this is not any different, overall a great product and good looking cage, would recommend this to anyone. Great cage, not very big but awesome as a second cage or for the cottage, great that the cages comes of the stand, makes it easy to move. Nice cage shipping was very fast, ordered on Monday got the cage Tuesday, all perches and cups included did not have to buy them extra that is a plus. Good Quality solid iron cage, not very big but a very nice design, would order from these guys again.